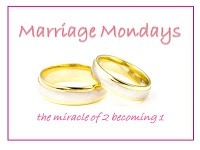 This post is linked up to Marriage Monday on Julie's blog, Come Have a Peace. 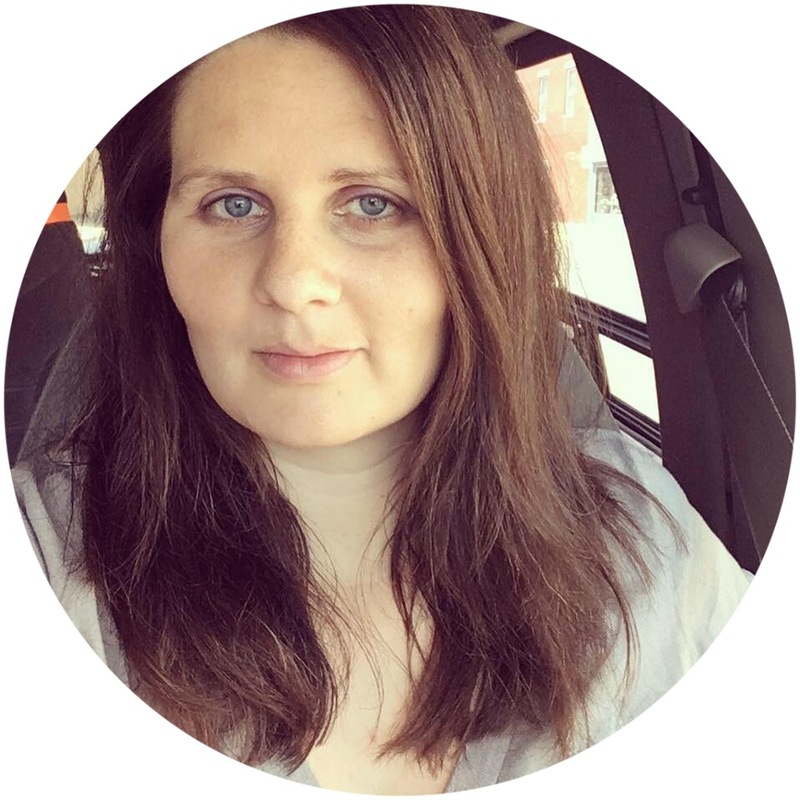 Check it out for more excellent blog posts on the subject of marriage. Going to toot my own horn here a bit. Well not MY horn really...my marriage's horn, rather. Things have been pretty awesome recently. I don't like to brag on myself and I'm really trying not to...hubs and I have just gotten into a groove that is comfortable, but not comfortable to the point of being boring and yet still exciting. I'm very happy, especially because things haven't always been easy for us. The hubby and I had a whirlwind courtship, engagement and wedding - we met in October and were married by March. We also had a child just a few short months after we got married. Things were pretty tumultuous for the first couple years of our marriage. The definition of tumultuous: Excited, confused or disorderly; noisy. Yep, that sums it up pretty well! ~ Hubby was unemployed for a year. (I wrote about it some here.) Most people think of unemployment and associate it with STRESS. For us, although it did bring us some very stressful moments, it was a great learning experience. Hubby got to experience first-hand my life as a stay at home mom and see everything that goes on during the day. This (I feel) led him to understand me more and to be more considerate of my feelings about the home, raising children, etc. This experience also helped me to better understand the pressures he faces as the sole provider and head of the household in our family. We enjoyed spending more quality time together as a family and realized that our family functions better when we do that. ~ I've read several books on marriage which I found to be very insightful. As Julie wrote on her blog today, "If you want to mix fresh ideas into your relationship, be challenged together, grow together, and broaden your world together, you might just start with a great book." Analyzing the books and the examples in them to see what's similar/different about those relationships and ours can be very helpful. I wrote about a few of them here and here. I also recently (within the last couple months) read "Capture His Heart" by Lysa TerKeust which was an excellent book. I also won it in a giveaway awhile back on Julie's blog! :) I'll write more about it (and the companion book for hubby's "Capture Her Heart") later! And of course, when talking about books I can't forget the Bible. My Bible has a section in the back with all sorts of topics - marriage included - and it's an excellent source of advice. ~ If one or the other is feeling badly, confused or upset about something we talk it out. Sometimes it's stilted conversation and it takes awhile to get everything talked over - having kids we don't always get to talk right away about everything - but we always know that the other is willing to listen. Communication is a key factor in any relationship, especially marriage. Men and women often think very differently so sometimes the things I think are a big deal, hubby doesn't think are a problem at all. Sometimes we just have to try and think like the other person does. Or finding a different way to communicate or connect is what's needed - writing a note, leaving a thoughtful gesture, sending a text, etc. I am by no means saying that we are perfect because we are NOT! I know we will continue to have good days and bad. I am just really happy with where we are right now and wanted to share some of my ideas/thoughts about our journey to this particular place. Hi I'm your newest follower from MBC followers club. I like your post I'm glad things are going well I totally agree that men and women think differently. I spend a lot of time explaining why I do things the way I do, but it's totally worth it. Communication is so important in a marriage. Saying hello from the crew! !